Students must be inspired to breathe life into their writing assignments. Teachers must provide each pupil with the tools to process information effectively. Professional educators must consistently appeal to the genius buried within all students, including the bored, unfocused and “At-Risk” adolescent. The soul of academic achievement, as well as the entire human condition, grows sour when educators allow themselves (and their students) to languish in robotic, knee-jerk environments - in addition to archaic methodologies and mindsets. Individuals of all ages must be motivated by desire, for the desire to do is undeniable evidence of the potential to do. Learning is meaningful when it is relevant to real-life experiences and circumstances. Confidence and critical thinking skills must find a home in the hearts of our students in order for them to eagerly apply themselves to complex learning tasks. 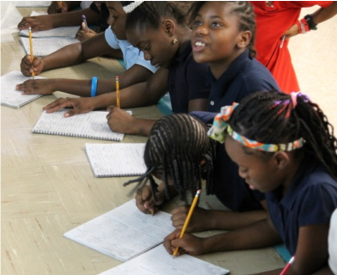 Writing formulas introduced to young minds must be durable and “do-able” on paper. Is it safe to assume that students who lack basic grammar and literary skills will have gaping holes in their writing ability? Unearned, social promotion is counterproductive to academic achievement when measured against rigorous standards of educational excellence. Professional educators (who still care) become frustrated when faced with the arduous task of teaching a grade-level appropriate curriculum to each of their students if a considerable segment of the pupils are gazing at them as if they are speaking the official language from the planet of Pluto. As a former elementary and secondary writing instructor, I was faced with similar challenges. We must, first, get each student’s attention. We must nurture the seeds of brilliance waiting to blossom within each soul placed in the path of our presence and within the sound of our voice. If we are passionate about witnessing young writers discover their personal well of creative energy, then they will feel validated by our genuine belief in them. Each student should consider her or himself as a valuable contributor to the global community. Our reward is to be appreciated by those who have evolved into skillful communicators. Teachers have built-in opportunities to be lasting conduits of inspiration, hope and encouragement. An educator’s enthusiasm, combined with exciting and effective teaching strategies, can electrify and demystify the writing process. Thoughts make sounds. Sounds make words. Words make sentences. Sentences make paragraphs. Paragraphs make the announcement: Here comes more thoughts…. and more ideas… and more details… and more feelings… and more frustrations… and more emotions… and more dreams… which means there will be more and more and more… words. Unfortunately, for a plethora of reasons, large pools of today’s youthful would-be writers view compositions worth applauding as an unattainable goal. They often lack faith in their ability to transpose their thoughts in a way that will be pleasing to the reader, or to a state test grader. Therefore, it is not surprising that a significant number of American students are not meeting minimum expectations on standardized writing exams. There is a delicate synergy that exists between literacy, speaking ability and writing proficiency. When students possess a limited vocabulary or have yet to embrace functional literary terms, and basic usage rules – then their confidence plummets in a downward spiral, much like their grades. The overwhelming emphasis placed on student performance on state-standardized exams (administrative accountability) enhances the urgency for educators to seriously consider alternative approaches to increase student-wide engagement and campus-wide mastery of what they have been taught. Dr. Pedro Noguera is famous for saying, “If there is no evidence of learning on your campus, then that means there is no evidence of teaching.” Cork’s Coast-To-Coast Classroom: Rebuilding the Writing Foundation Workshop addresses the core of essential skills that writers of every age must be able to comprehend and consistently demonstrate. The instructional techniques presented during Cork’s Coast-To-Coast Classroom: Rebuilding the Writing Foundation Workshop reflect the fact and mirrors our mission that active participation enables students to internalize information more meaningfully. However, learning has never been limited to a teacher’s delivery method. The classroom should be the stage where students are the stars and the instructor directs, or facilitates, when necessary. The collective personality and individual creativity of each participant helps to determine the energy of the workshop. Mr. Cork simply models various writing strategies, which allow students to visually absorb multiple components of the writing process. The anxiety students often experience in a time regimented classroom is countered by a culture of controlled chaos and constructive noise expertly orchestrated by Mr. Cork. Rote memorization and lethargic participation can lead to resentment. Consequently, the student may likely reject any (or all) vital information associated with just “going through the motions” if their ears are closed and their eyes are glazed over. If learning the rules of writing is like taking medicine, then music and merriment is the teaspoon of sugar to help it go down into hands that hold the pencil or pen, helping to heal unhealthy attitudes and ailing standardized test scores. What about various learning styles and Howard Gardner’s Multiple Intelligences? Fertile learning soil is an environment that offers opportunities to showcase and celebrate a vast array of student strengths and positive propensities. There are numerous opportunities during Cork’s Coast-To-Coast Classroom for the visual, auditory and kinesthetic learner to benefit. The visual and auditory learners benefit from the colorful workbooks, the humor, the dazzling, Imax style slides and the myriad of sounds. Kinesthetic learners, who are often thrust into the cold waters of “Lake Lecture” soon after their primary years are over, are given multiple opportunities to remember what has been taught through movement and rhythm. Students sometimes act as if they are incapable of articulating the meaning of writing terms, which cannot be camouflaged when it is time to compose a composition. For this reason, students are provided with literary definitions that are easy to recall. 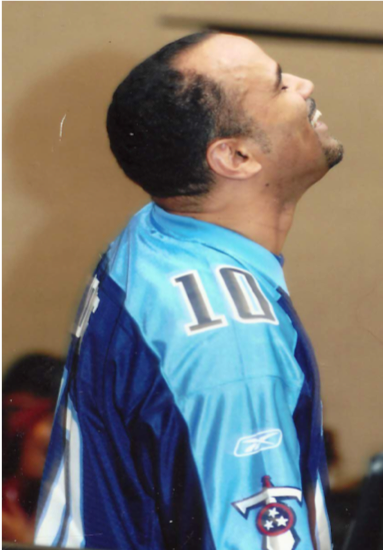 Physical motions and catchy phrases are employed to educate and entertain. As a result of visiting almost every state in America as an “Edutainer,” Mr. Cork has become uniquely familiar with the various standards, objectives, scoring rubrics and curricula nationwide. Mr. Cork has discovered a cache of clues as to how to imbed those expectations within students so they will feel like stakeholders in their own education and personal development. The extreme emphasis placed on meritorious student performance throughout the country motivates him to reserve a special place in his heart for low-performing schools so every campus in this country can glow as beacons in their communities because they have great writers with sparkling imaginations and glittering G.P.A.s. Instead of debating research data and repeating theories as to ‘Why Johnny can’t read or write,’ Mr. Cork simply presents applicable solutions during his student and/or professional staff development seminars to as many participants that a school cafeteria, auditorium or gymnasium can accommodate. 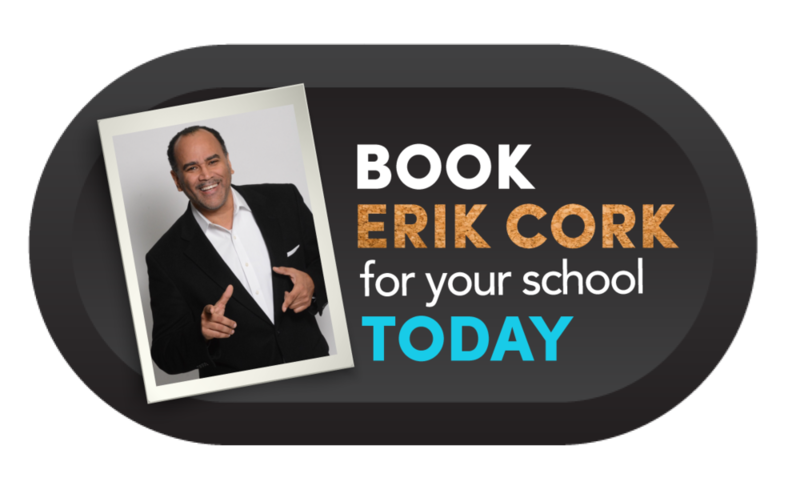 He presents his energetic session ALL-DAY, beginning after the morning announcements and concluding moments before the students must board their buses to go home at the end of the school day. “Nothing” will definitely NOT be the knee-jerk response students will blurt out if they are asked by their parents, “So, what did you do at school today?” Teachers are encouraged to cherry pick which one of Mr. Cork’s techniques works best within the framework of their particular teaching style in their respective classrooms. More importantly, they are encouraged to implement only those strategies that blend neatly into their meticulous lesson plans. Mr. Cork wants to make friends, not foes. The workshop is tailored to reflect the culture and diverse musical preferences of the participants. Hip-Hop, Pop, Country, R&B, Reggaeton, Zydeco and Go-Go music listeners alike are validated with lyrically appropriate grooves and “Nod Ya’ Head” beats, just as their more seasoned, veteran instructors are serenaded with sweet “Old School Favorites.” Music is a universal language everyone can relate to. Countless research studies have been conducted that emphatically confirm the relationship and involuntary response between cerebral development and music. It is also common knowledge that music and other art forms have a profound impact upon our youth. They are completely acclimated and accustomed to melodies that remind them of what they listen to in their leisure. The splendor and magic of writing always shines boldly and brightly when the author/poet/composer/essayist/test-taker experiences the sound and sheer brilliance of their own voice dancing proudly, effortlessly and masterfully on the paper. Rigorous state standards and itemized objectives must be transformed into continuous teaching and learning parties. 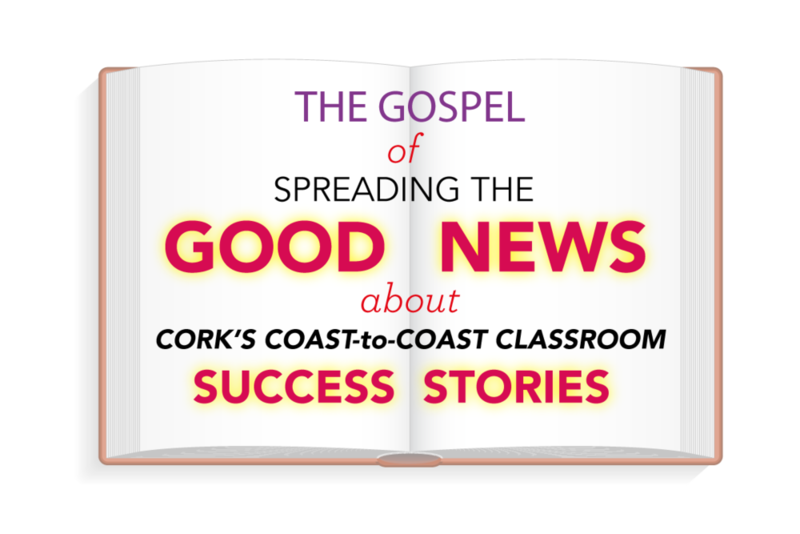 A consistent and irrefutable flood of documented evidence exists that Cork’s Coast-To-Coast Classroom is a catalyst for lasting academic impact upon entire campuses. District administrators, school board members, principals, parents and classroom teachers who reinforce and incorporate the self-assessment techniques presented are given full credit by Mr. Cork for their students’ success in English/Language Arts because he bounces to different regions of the country on a weekly basis as he enthusiastically embarks on his next writing adventure with students elsewhere. 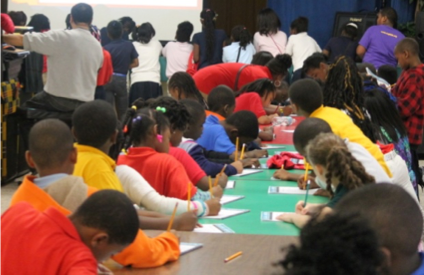 When the workshop is presented to teachers and administrators at national educational conferences, standing-room-only attendance often occurs when participants hear of the “rumors” regarding significant reversals in state-standardized writing test scores. Professional educators are guaranteed to leave each seminar with strategies to keep their students actively involved, focused and motivated to apply what they have been taught. Let there be… light shed on clear written communication skills and confident compliance to national standards of superbly orchestrated verbal expression.